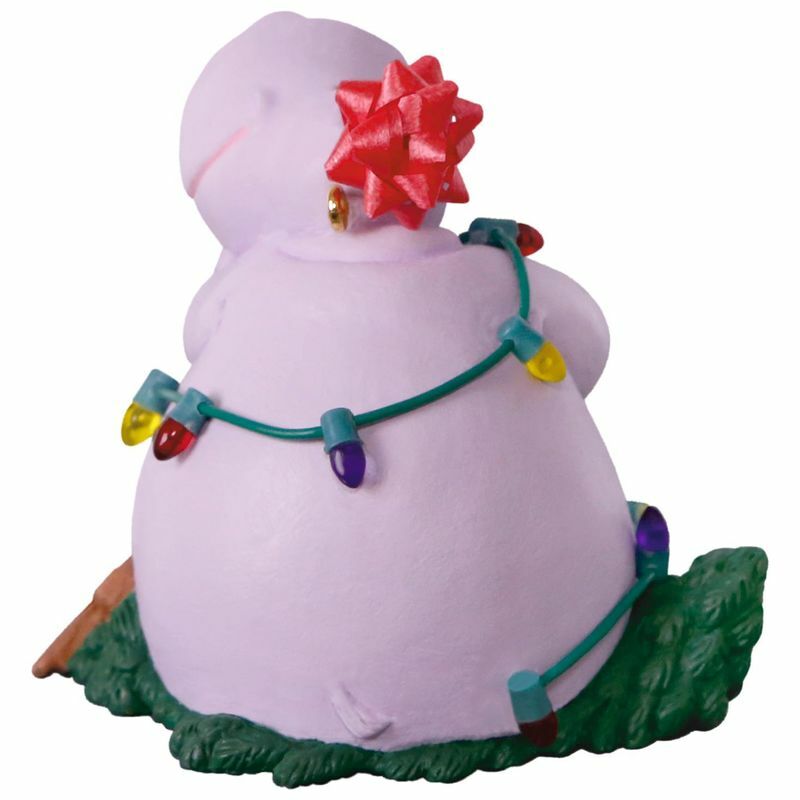 Celebrate the laugh-out-loud perennial favorite holiday tune, "I Want a Hippopotamus for Christmas," with this whimsical Christmas tree ornament featuring a sheepish hippopotamus wrapped in a string of lights and sitting on a squished tree. With a bow on her head, she makes a perfectly safe gift for the animal lover on your list, or for any fan of the humorous song. Press the button to hear part of the 1953 Christmas classic performed by Gayla Peevey. Battery-operated sound feature includes two replaceable LR44 batteries. Magic Sound Christmas tree ornament. 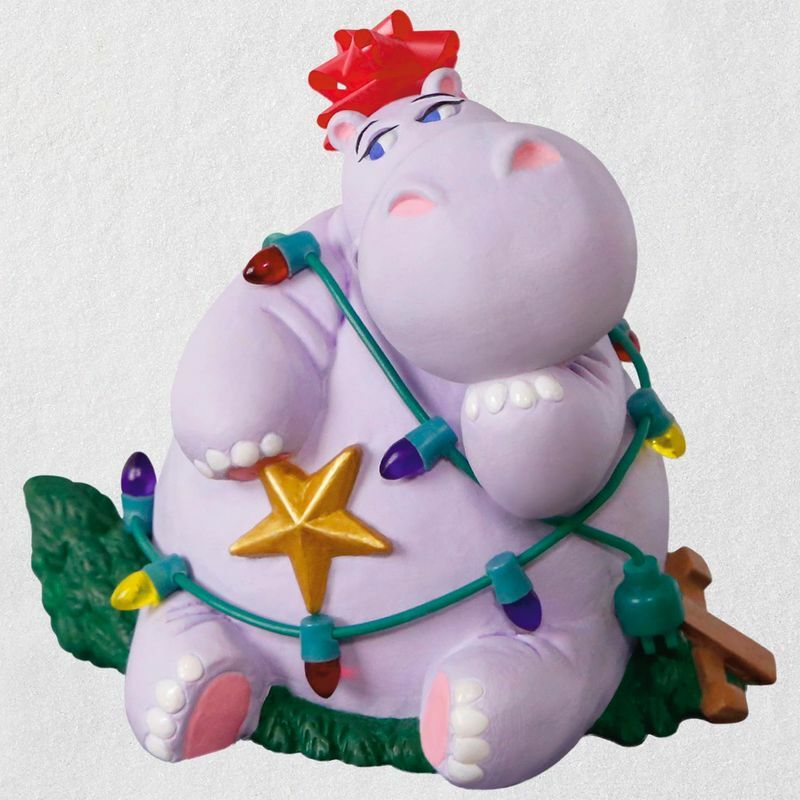 Press the button on the ornament to hear music from "I Want a Hippopotamus for Christmas" performed by Gayla Peevey. Battery operated. Requires two (2) LR44 batteries, included. This is a such a fun ornament. Quality is great, we all love it.